Referencing a heritage of independent and fine atelier production, the de Pinto design studio is infused with Arielle de Pinto’s directional aesthetics and firmly grounded in contemporary culture. From self-taught and grass roots beginnings, de Pinto dynamically leads a dedicated team of personally trained artisans, who produce her unique creations and distribute to specialty stockists around the globe. Located in Montreal, Canada the studio has gained a reputation for expert craftsmanship. Every piece issued is made by hands, forged with an eye to achieving archival quality using the finest materials available, including Italian 925 sterling silver, gold vermeil and palladium. Renown for the application of traditional crochet where metal is treated as though fiber, the studio continues to explore developmental techniques, both modern and ancient. With the assistance of an MIT-trained nuclear physicist, the studio has developed a method to treat specific surface metals rendering a digital-age colour palette. Alongside this, Arielle carves her miniature sculptures, hewed from wax with exposed and roughly faceted surfaces, which are then reproduced using the historical lost wax casting process. Exploring and employing the most suitable techniques, the studio continues to grow productive capacities and specialized skill to realize the artistic visions of de Pinto. From the heady start-up days of producing her debut collection from the back seat of cars and airport waiting lounges, to a full production and development studio three-years later, the Arielle de Pinto brand is internationally recognized and proud to be a new presence in the world of fine luxury craftsmanship. 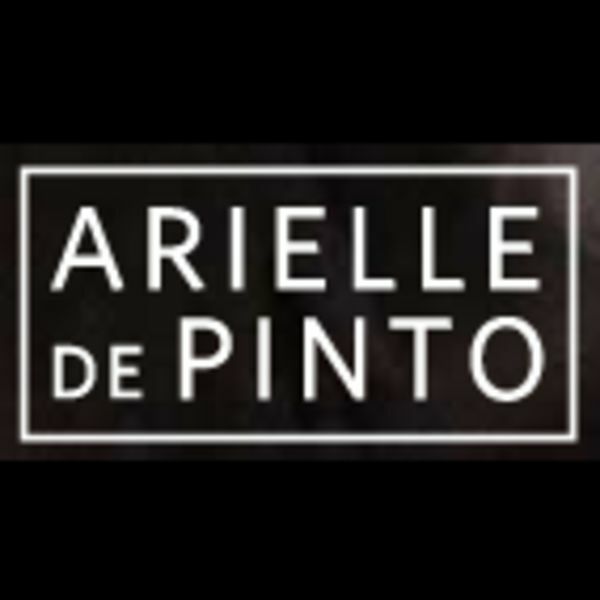 Arielle de Pinto’s premier collection of designs featuring limited edition items, conceptual works and body pieces, as well as customized designs for specific stores. Many pieces are still made personally by Arielle. The Atelier Collection is presented by select stockists internationally.